These two downtown icons are teaming up for a one-of-a-kind promotion. 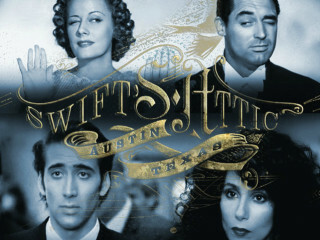 For just $45, you can enjoy a wonderful three-course dinner at Swift's Attic and then head over to the Paramount Theatre and Stateside at the Paramount or not one, but two screenings of classic romantic comedies back-to-back. Choose between The Awful Truth or Pretty Woman, and follow it up with either Moonstruck or The Lady Eve.